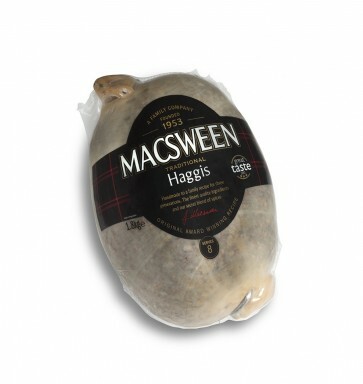 Multi-award winning Macsween haggis is the finest lamb, beef, oats, onions and spices prepared in a sausage skin. Think of it like a delicious oaty, spicy mince. Choose the haggis that best suits your appetite. Sizes range from the 454g haggis which feed two to three people to the chieftain haggis that feeds 16. Perfect for a Burns Supper.